When it comes to being financially healthy, having an emergency fund is an essential component. We all know how quickly life can throw a curveball at you and you need to be prepared for these “unexpected expenses”. For this reason, financial professionals suggest saving at least six months worth of living expenses. If you are living paycheck to paycheck, however, this idea may seem out of reach. Even so, devising a budget that will allow you to begin saving is a goal you need to strive for. It will be easier to struggle some now and later when a true hardship happens. Below are 10 reasons why you need an emergency fund and the best ways to go about building one. 1. You lose your job. If you find yourself without employment, you may find a new job but with less pay. Now what do you do? Your bills haven't changed. With your emergency fund properly stocked, you could live off those savings while you look for the right position. Without this fund, you would be forced to take the first job that came along and eventually would find yourself in debt. 2. You forgot about your property taxes. If you are a homeowner, this is an important and major bill. 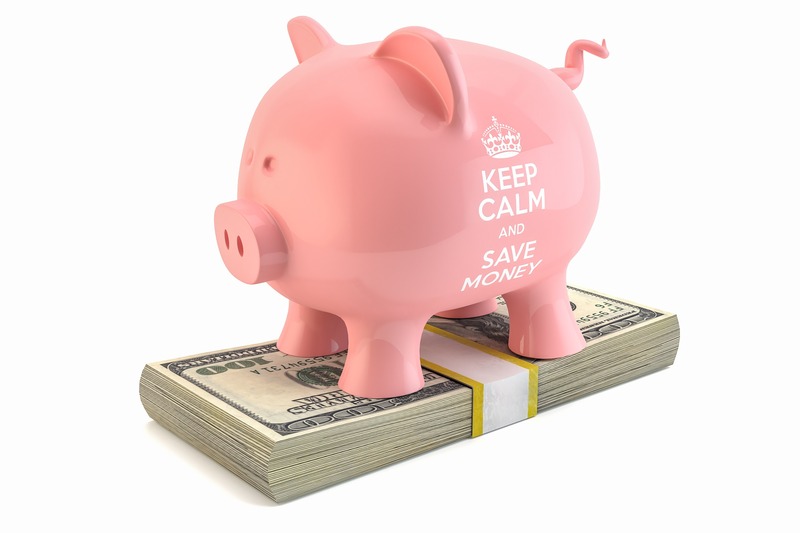 If you happen to forget that it is coming due, your emergency fund can swoop in and save the day. Just make sure you have a better system in place for reminding you next time. This one is a biggie but this unexpected expense happens to many. With some savings put away, you will feel much more at ease knowing you have some cushion to fall back on while preparing for your baby. Not to mention some employers don't offer paid maternity leave. We are not talking about a cold but a debilitating illness that could keep you from working. You could lose your job and even if you are able to get short-term disability, it would most likely leave you living on less than your current salary. 5. Your car needs repair. Any number of things can go wrong with your car at any given time and car repair bills can be steep. How nice would it be to not have to stress about how you are going to pay for it. 6. You become a victim of identity theft. If you find yourself as a victim of identity theft, it could mean you do not have access to any credit or debit cards until the issue is resolved. A separate savings fund could be a lifesaver in this instance. 7. You unexpectedly need to move. Moving is a big expense and when you have to do it unplanned, it can really wreak havoc on your finances. Not to mention the funds you will need in order to secure another residence. That will be an easy few grand in first and last month's rent as well as security. 8. An addiction spins out of control. Whether it is alcohol, drugs or gambling, hidden addictions can ruin you financially. Having some savings can help face the issue head on. 9. Someone close to you passes away and you need to travel. If you need to travel far way to attend a funeral, that can be very costly. Not to mention the cost of renting a hotel room. 10. An unforeseen one-time medical expense. Most kids at one point or another will wind up having to take a trip to the emergency room. Stitches, broken arms, chipped teeth, any number of things can hit your finances hard and fast. Not to mention dental work like cavities and root canals. Any number of medical expenses can pop up but thankfully they are a one-time expense. All of these unexpected things – and many more – can cause your otherwise healthy financial situation to quickly fall apart. This can then lead you to have to tap into your credit leading you further down the road to debt. With that being said, the effects can be greatly minimized by maintaining a healthy cash emergency fund. Now it is time to get creative with how to best start stocking away money into this fund. When money is tight, finding the funds to contribute to an emergency fund may not seem possible, but it is necessary for your financial security. They key is to start small, Whether it is $5 or $20, any amount you can save gets you one step closer to your goal. Spare change, any extra cash (a gift, overtime that you worked), the money you saved by skipping that Starbucks latte, all these little amounts will add up over time and are a great way to start building those savings. In an effort to keep the temptation to spend your savings at bay, you need to keep your emergency fund in a separate account. A high-yield savings account is a good place to keep your money. It will be federally insured up to $250,000 and will earn interest as well. The key is to keep your money accessible since an unexpected emergency will require quick access. In an effort to boost your savings all around, sit down and go through what your everyday purchases are. Put together a log of your daily expenditures so you know where your hard-earned money is going. Chances are, you will come across things you can cut down on. That daily coffee run or that lunch out can really add up over time. Add up all the items you can eliminate from your budget and you will see your savings start to increase over time. You may even find that you really don't miss what is gone. When it comes to larger windfalls of cash like tax refunds, raises, bonuses etc., you should definitely put those funds straight into your emergency fund as well. Looking to make a nice dent in your monthly bills, cut the cord on your cable service. With all the streaming services available like Hulu, Netflix, Amazon Prime and more, the only thing you will be doing away with is that high cable bill. If you just can't find the heart to let go of some of your favorite channels, look into switching for a cheaper package or giving your cable company a call to see if you qualify for any discounts or promotions. Cell phone bills are another expense that can take a nice chunk from your paycheck. Go through your plan and see if you really use that much data or if you have multiple people in your household, try a bundling option. Take some time out to call your cell phone provider and see what they can offer you. Any amount you are able to save can go towards your emergency fund. Always remember, every bit counts. Finding new ways to earn a buck are all around you if you are willing to look. There are so many online opportunities like surveys, focus groups, cash back sites and more. If you are looking for opportunities outside the home, you can dog walk, become an Uber driver, babysit on the weekends and more. Many of us have subscriptions to the gym, magazines, app services etc. that are tied to either a checking account or credit card. The issue with these is that we tend to forget about that $30 for the gym or the $10 monthly payment for an app. All of this adds up over time to a nice chunk of change, and if you are not using these subscriptions, then you are really throwing your money away. Take the time to go through all your subscriptions and see which ones you are getting value from and which are just putting a dent in your budget. The gym is really one of those expenses we can do without. Work out at home or better yet create your own workout group with friends. The thought of heading out to a second job when we are already tired from our first one may not sound ideal, but it is temporary. The key is to do it now so you are set up for later. Even a month or two of pulling in a second income can make a big difference in your financial situation. Like we mentioned, there are so many more opportunities today then there were a few years ago to make extra money. Becoming an Uber driver, babysitting, pizza delivery, dog walking, server and customer service agent (work from home) are just a few jobs you can get on the side. Whatever route you choose, you will thank yourself when the need arises for that extra money. The typical home is full of extra things no one uses. Take some time to go through your things and see what you can sell. Electronics, clothing, old toys, furniture and any other unwanted stuff can be sold for cash. Whether you use a selling app, have a weekend garage sale or use Ebay, you will definitely be able to boost the savings in your fund. Eating out is a major contributor to personal debt. What may seem like a great convenience and help to you is really draining your budget. Cooking at home can save you hundreds of dollars over the course of a year. This also goes for lunch. Brown bag it as often as you can. The key is to incorporate meal planning into your routine to make this more easily achievable. Once you get on track with your eating habits, you will definitely start to see a nice boost in your emergency fund savings. The most difficult part of starting anything new is taking that first step. In this case, that first step is beginning a disciplined savings program. While many people who are already making do with less will find it difficult to do with even less, they will definitely appreciate those savings if they have to pass through some hard times.